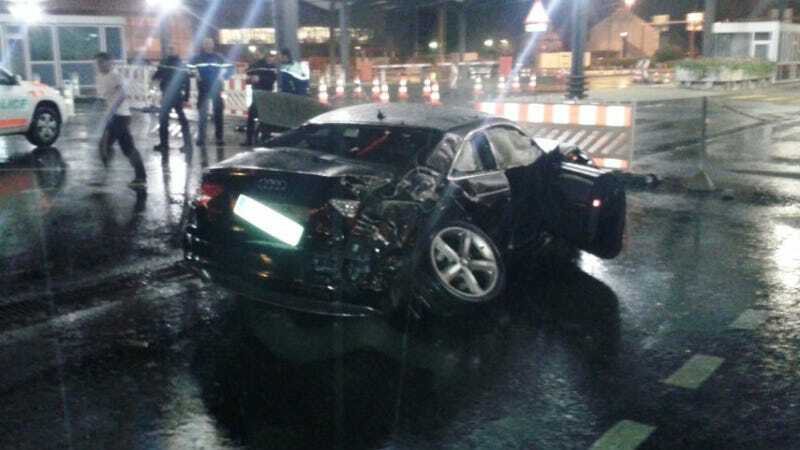 Dear Audi driver: there must have been a better way to cross the France-Switzerland border than somersaulting your car into the air to get over it, right? Yeah? No? Okay, fine. In total, the Audi driver traveled a distance 70 meters, or about 230 feet, and went about 15 feet off the ground, the newspaper claims. He does not appear to have been successful at crossing that border. The good news is that he and his passenger were unharmed, and according to border guards, were completely unaware of what happened to them.